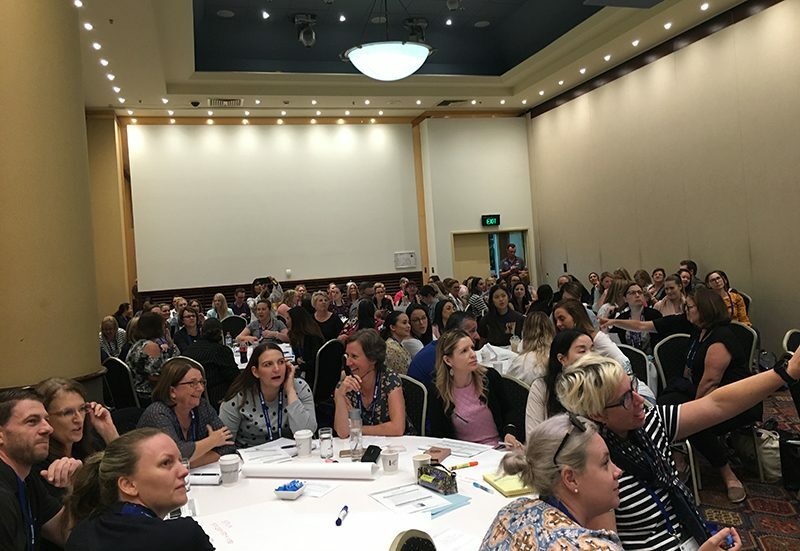 Missed out on attending MANSW‘s Primary And Middle years (PAM) K-8 conference on the weekend? 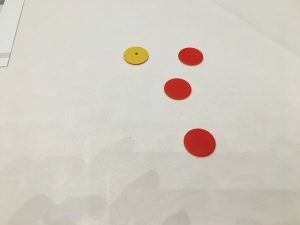 Well here are some of my reflections and take-away messages from the conference. 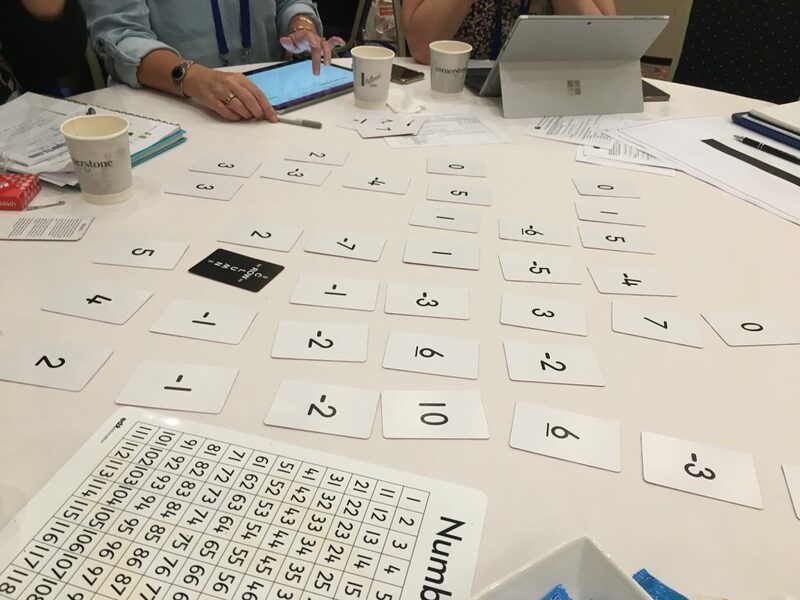 It was once again a great conference where teachers (both primary and secondary), mathematics educators and researchers came to share their classroom practices and mathematical insights. This year’s theme was Getting Reasoning Right: Reasoning Beyond Explaining and reasoning was definitely delivered in spades! 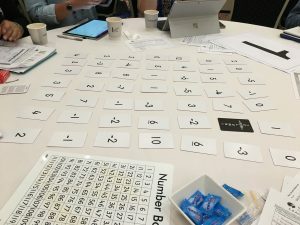 Algebraic reasoning, spatial reasoning, arithmetic reasoning, adaptive reasoning, mathematical reasoning, the list went on … If you were already exicted by the awesome line-up of speakers, then the goodies in the conference bag would have sent you over the edge. 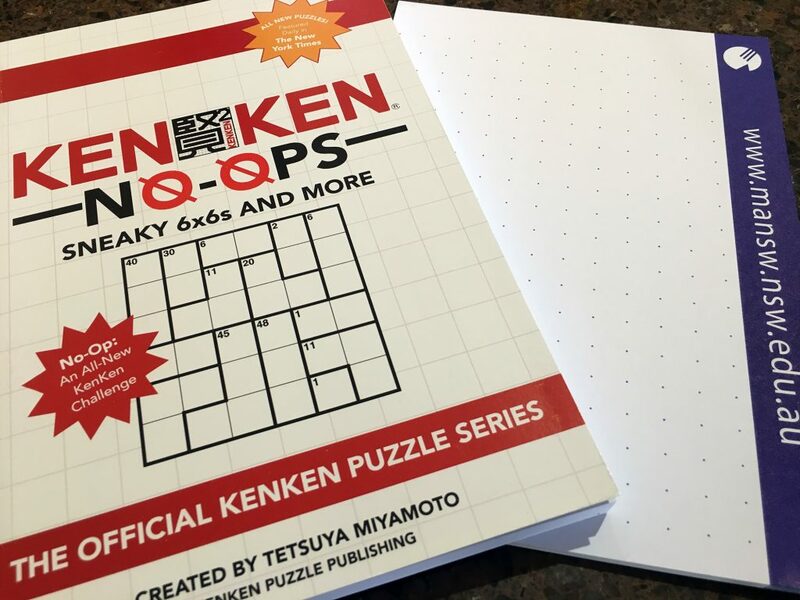 Apart from the usual pen and paper, there was a KenKen® book and grid paper – this bag was a maths-nerd’s dream! Paul Swan’s opening keynote took us on the journey of reasoning, a journey that for many students, takes time. 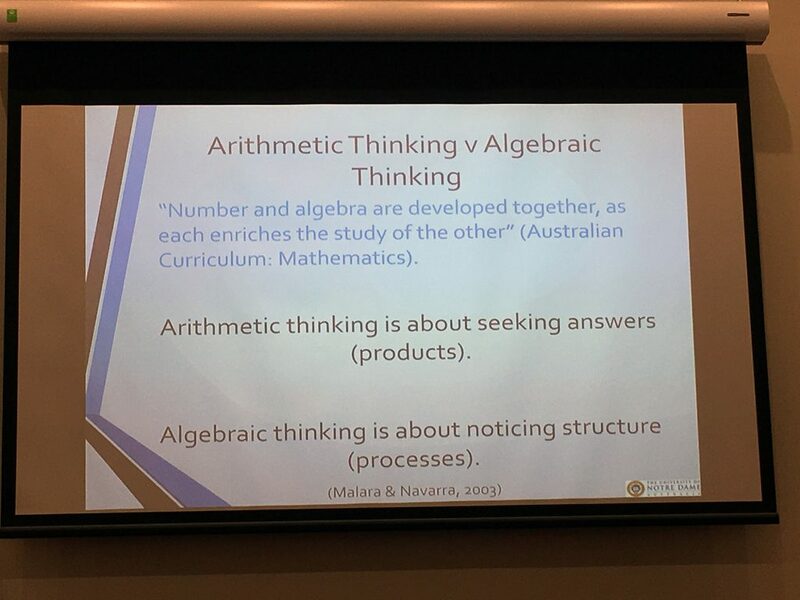 Students need time to build thoughts upon thoughts as they make sense of the mathematics the reasoning will follow. 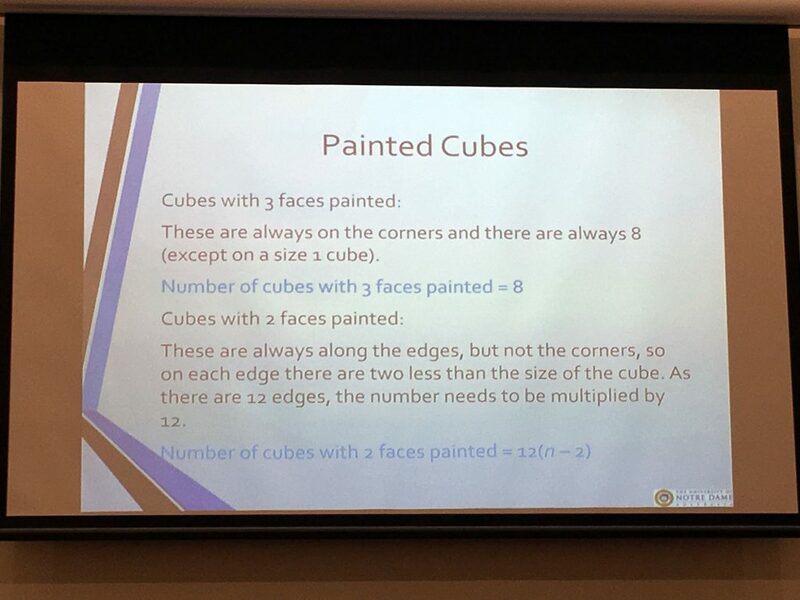 Paul also spoke of the language required to reason and that students need to use a “bunch of words” to describe a concept. However, some students do not have the words, the vocabulary, to reason. Students may be able to ‘do the calculation’ but not have the words to communicate the thinking. There is a ‘literacy overlay’ of gestures, pictures and symbols that also need interpreting beyond just the numbers. He explored the multiple facets of reasoning, that it’s beyond just thinking and requires a context. Students need to reason about something, content for example, statistical reasoning, spatial reasoning or numerical reasoning. 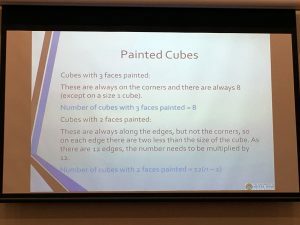 Paul encouraged us to ‘raise our noticing’ by changing our routines to assist students in increasing their repertoire of words to use when describing their mathematical thinking. 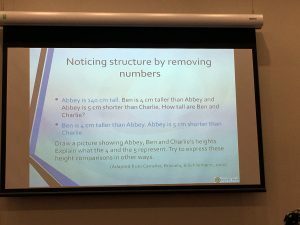 He mentioned the use of Number Talks, nrich tasks, using rich tasks such as Rich Tasks and Work Samples and the book “Would you rather?” by John Burningham as ways to promote and increase reasoning-talk in the classroom. 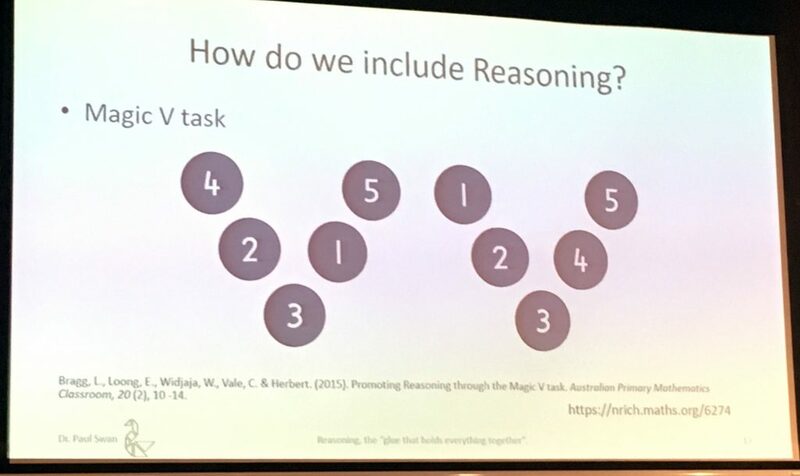 Paul talked about reasoning as the glue that holds everything together and cleverly interwove the story of the inventor of post-it notes, Dr Spencer Silver throughout his talk. Post-it notes were an idea that took almost three decades to come to fruition, an idea that didn’t stick (pardon the pun) for many years. 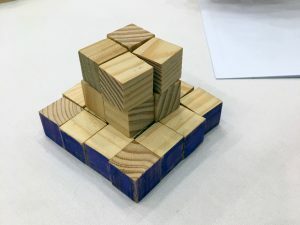 In developing reasoning students’ thinking may have to shift, they may have ups and downs, and there may be times where it doesn’t seem to be working before it all makes sense. I went to a number of other fantastic, engaging sessions that both extended my understanding of reasoning and provided a range of practical strategies and activities to use in the classroom with students. Below are a few reflections from each session. 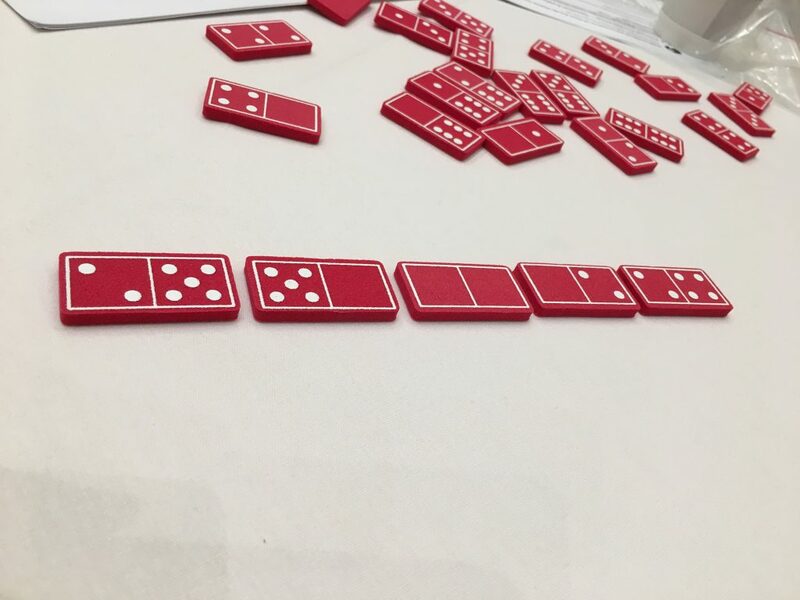 Domino Trains – using one set of dominos make ‘trains’ with 10 passengers (same numbers must match up) can you make 10 with 4 carriages? what about a train of 20 with 5 carriages? 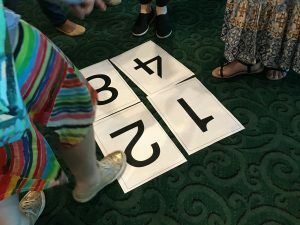 Number Hokey Pokey – exploring adding numbers to 15 using 1, 2, 4 and 8, one foot per four students allowed on each number, extending reasoning to allow 2 feet, now what numbers can you make? The date for next year is Saturday 28 March so pencil it in now. 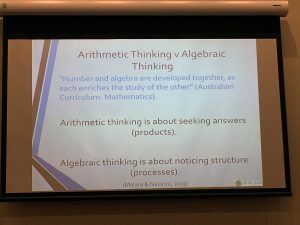 If you’d like to read more about the conference, also check out the Twitter hashtag #mathematicalreasoning that was used on the day. Thanks to the MANSW team and the PAM committee for all their hard work in organising the conference! My understanding from the day is that reasoning takes many forms but it is bound in the bedrock of communication. 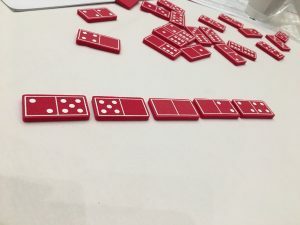 This could look like drawings, partner talk or games. Our responsibility is to provide a conducive environment for reasoning to flourish.